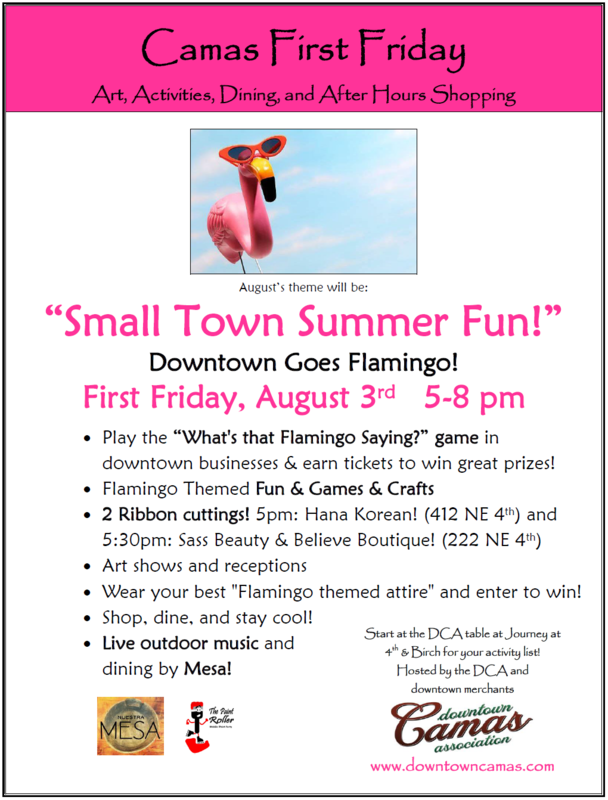 First Friday is coming August 3rd and it’s the “Small Town Summer Fun – Downtown Goes Flamingo!” 5-8pm. All the shops, restaurants, galleries, and theater will have their air conditioning going so will be nice and cool for you :). Stop by Journey at 304 NE Birch for games, flamingo crafts, and your activity list for the evening. 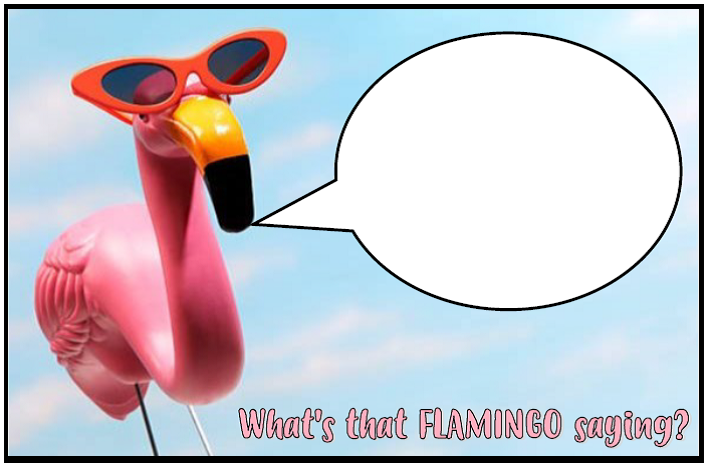 Play the “What’s that Flamingo Saying?” game in downtown businesses & earn tickets to win great summer prizes! 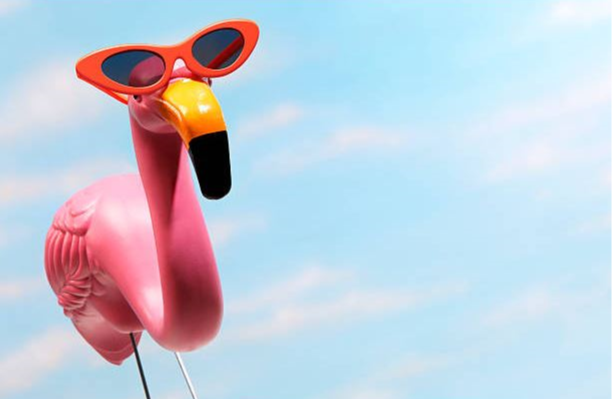 Outdoor Flamingo themed fun & games & crafts including “Stand Like a Flamingo”, Flamingo Plinko, Flamingo Spin & Win, Flamingo bean bag toss, rubber duckie water races, Find the Flamingo, Flamingo ring toss, and more with prizes. Wear your best “Flamingo themed attire” and get a free prize ticket! Shop, dine, and stay cool! Live outdoor music and dining by Mesa! Join us for a fun and dynamic summer evening in Downtown Camas! Visit our First Friday Facebook page for more details and updates. See you soon!